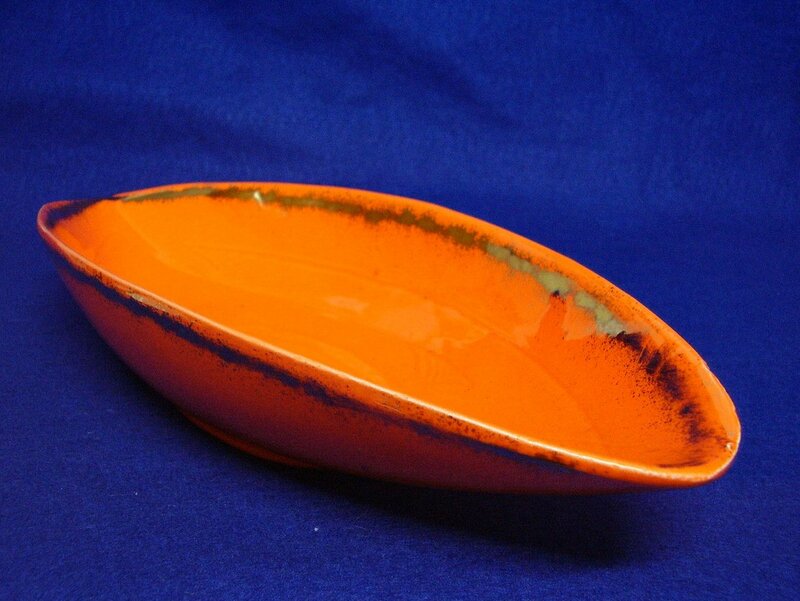 A very collectible piece of California USA pottery. 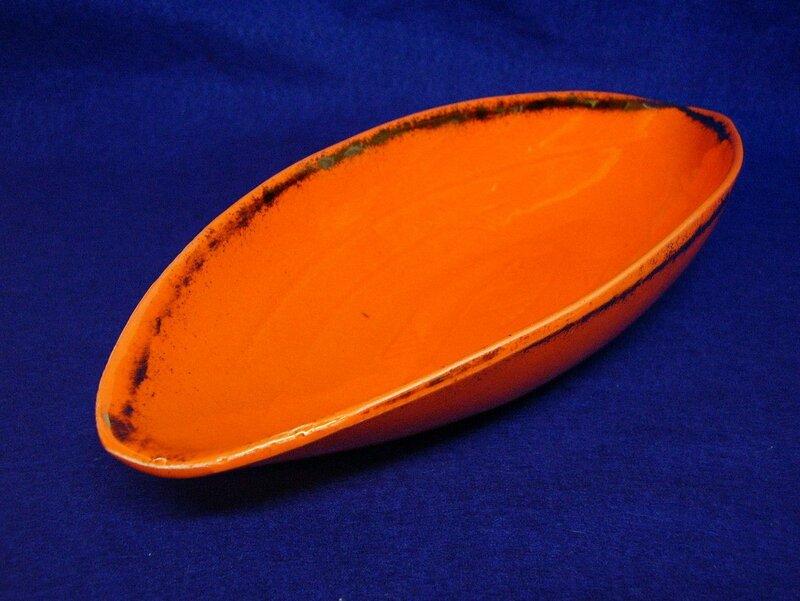 It is a classic 1950s piece The dark pumpkin color with the gold trimming is very retro and perfect for decorating. 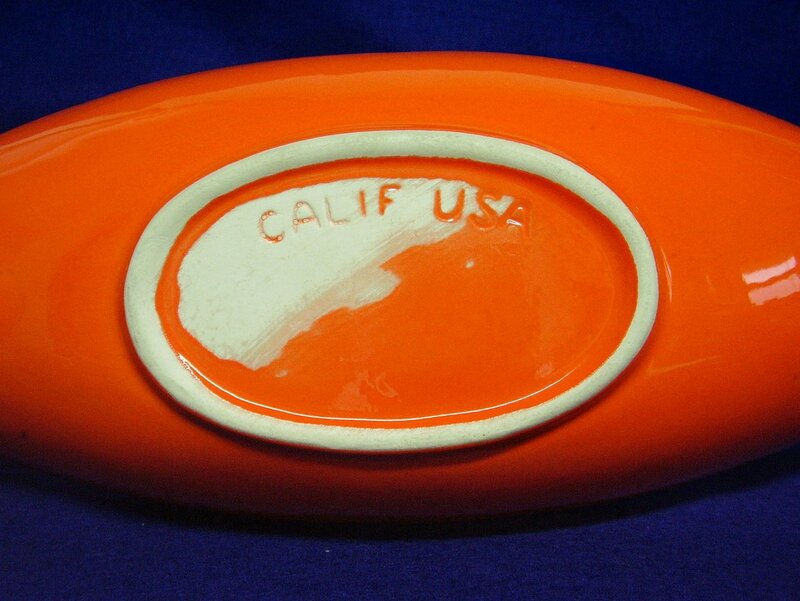 A very collectible piece of California USA pottery. It is a classic 1950s piece. The dark pumpkin color with the gold trimming is very retro and perfect for decorating. It is a canoe or boat shaped dish. 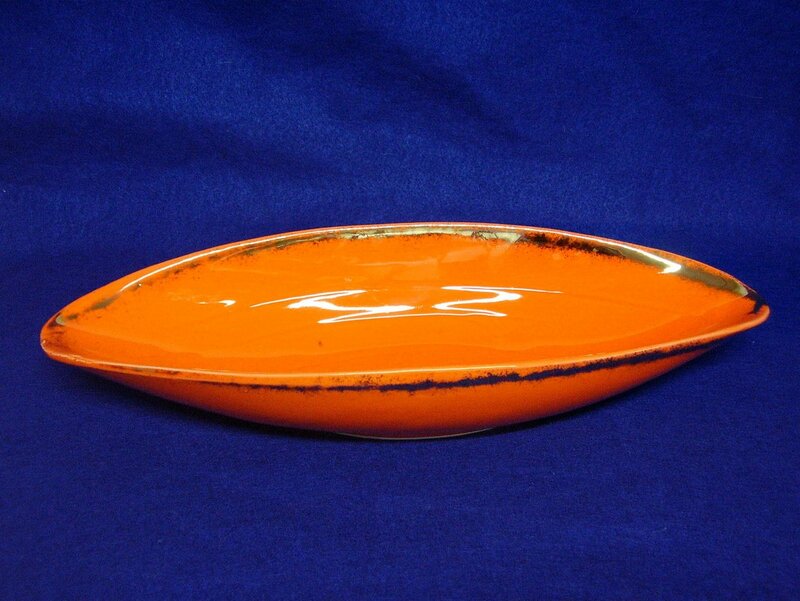 Please note, the dish is NOT 2 toned, a very difficult piece to photograph. The actual color both inside and out are reflected in the last photo showing the bottom. On the inside of the dish the artist has impressed abstract shape marks, may not show up in the photos. The edges both inside and out have been spattered with gold. There are a couple of pin point darker spots on the interior which appear to be under the glaze. The white that shows on the bottom is actually where it was not fully glazed. There are no cracks, chips, or fleabites. There is fine line crazing both inside and out, actually makes it look all the better! It measures 15 1/8 inches long and about 6 inches wide, and 2 5/8 inches tall. It is impressed on the bottom: CALIF USA .